Today I received this little gem in the mail. A friend had recommended it to me ages ago and at the beginning of this year as I was transferring all the important info from last year's Moleskine to this year's Moleskine (ie my family's birthdays), I discovered a little pink post it note with the title and author of this book scribbled on it. So bearing in mind that I'd resolved to myself to do at least one thing this month to improve my mind, I logged onto The Book Depository (my new favourite site - free postage anywhere in the world!) to order a copy. And it arrived just as I was leaving for work this morning, so I started reading it on the train. 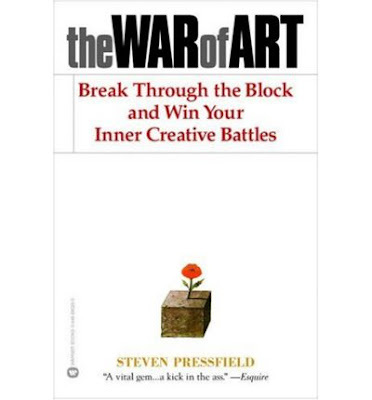 I'm only up to about page 25 but so far it is full of common sense and useful advise for "unlocking the inner barriers to creativity" and I can see it taking a permanent spot on my desk as one of those books that is constantly referred to. Steven Pressfield appears to know what he's talking about. And I like that he's doing what I aspire to do and is willing to share his wisdom, which is more than a lot of writers will do. So I'll report back when I've finished and do a review. 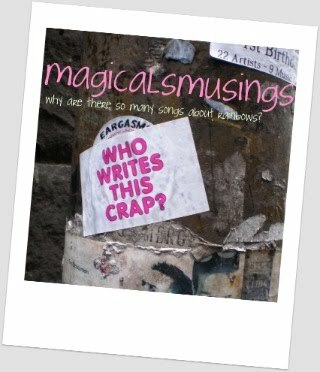 Oh and did I mention I've enrolled in a writing course which starts next week? And I'm off for a weekend away down the coast, so I'm excited about that too. I liked a lot of what this book had to say...until he got onto the 'god stuff'. but maybe that's helpful for the religious types. but then, I'm not a god person and if I was, I reckon god would help those that help themselves. I also recommend Twyla Tharp's The Creative Habit. Yeah the god stuff bothered me a bit too - I'm not religious but I am spiritual. So I took his advice and replaced the term "god" with "higher power", which helped.